I also read this in 8th grade! and I LOVE it. Unfortunately I haven't read it since then since it was my teachers and I don't have my own copy :( so I forgot some things. i would really like to win. thanks for the contest! Ooh! What a great giveaway! 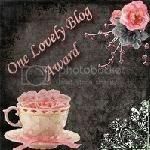 Your blog is beautiful!!! Thanks for this amazing book giveaway. +2 Another book by this author is "The ear the eye and the arm"
Oh my! This book looks fascinating! Please enter my name in your draw. Thanks. +1 Thanks for the great contest I love this book!!!! +1 this book sounds really good!